Around half a century after a first fruitless attempt to put a cosmonaut on the Moon, a new generation of Russian space engineers embarked on the development of a piloted lunar lander, in accordance with the nation's 10-year space plan starting in 2016. However, unlike the one-seat module of the first Moon Race, the future lander had to support long-term exploration of the Moon and deliver crew anywhere on the lunar surface. 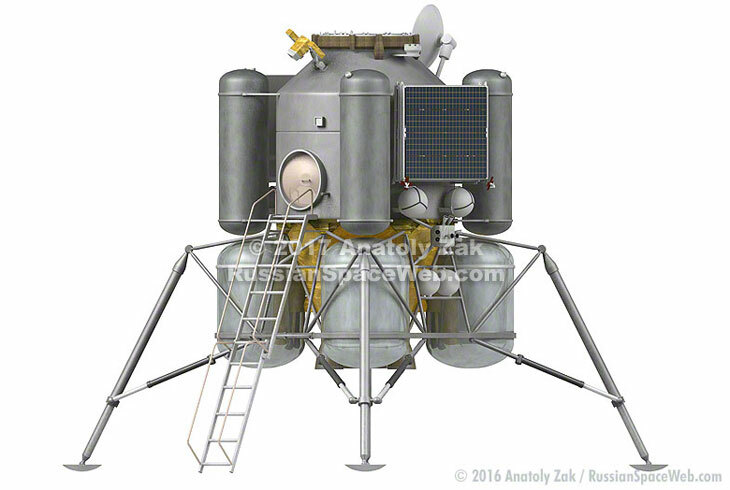 Russian lunar lander concept circa 2015. 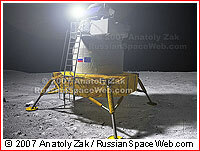 In 2015, after several years of preliminary studies, the Russian space agency, Roskosmos, made plans to begin funding the development of a lunar lander and associated systems which would be necessary to deliver crews from lunar orbit to the surface of the Moon. In the official documentation, the project was officially identified as Lunar Ascent and Descent Complex, LVPK. 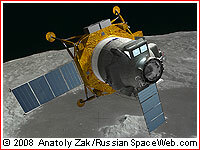 According to the Russian lunar exploration plans circa 2015, the lander would be delivered to the lunar orbit by a dedicated rocket without a crew. 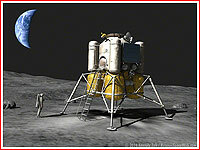 It would then rendezvous and dock with a piloted transport vehicle in the lunar orbit. 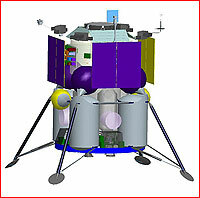 The lander would then deliver the crew to the surface and its ascent stage would carry cosmonauts back to the lunar orbit for a rendezvous with a transport vehicle for trip back to Earth. *Not including Block D braking stage; **including airlock; ***Can be extended within lunar base operation; ****includes transfer stage, but does not include refueling tanker. 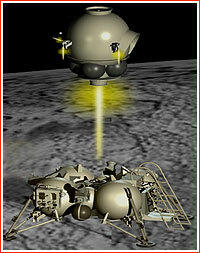 A notional concept of a lunar lander circa 2010.